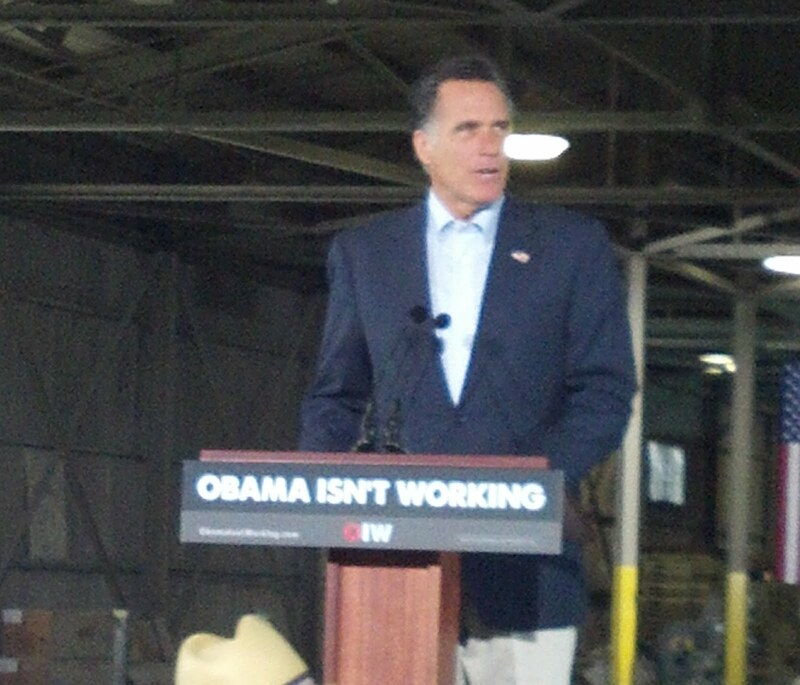 Mitt Romney visited Lorain today, a day after Barack Obama also came to Lorain County. For some strange reason, I wasn’t invited to Obama’s event. Romney’s event was open to the public, and I was able to get there early for a good seat. About 350 people attended, on very short notice, and it was a standing room only crowd. Romney’s 18-minute speech also tackled issues familiar from his campaign stops leading up to last month’s Republican primary in Ohio – a contest Romney won. He criticized Obama’s “all of the above” energy plan by calling the approach a head-scratcher. “Oil and coal and natural gas have been hard hit under his administration,” said Romney, winding up to a big applause line. “He’s for all above the ground — wind and solar.” Romney closed his speech by casting himself as a business-savvy outsider. Romney wasn’t my choice at the beginning of this campaign starting last fall, but I have found myself warming up to him since January. He certainly deals blows to Obama in a manner that John McCain refused to. Of course, you know that we will be seeing much more of him and Zero the Dull Blade in Ohio over the next seven months.